Clockwise: Chris Heaton-Harris (Con), Abigail Campbell (Lab), Callum Delhoy (Lib Dem), Steve Whiffen (Green) and Michael Gerard (UKIP). 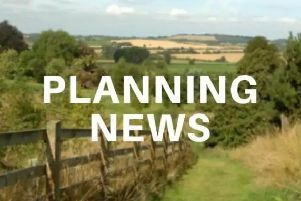 Daventry District Council has confirmed the five parliamentary candidates standing for the Daventry constituency in the upcoming general election. Daventry has returned a Conservative MP since the Second World War and in the 2010 election Chris Heaton-Harris achieved a 19,188 majority. Today the constituency remains the fourth safest Tory seat in the Anglia region. Since 1997 Labour’s share of the vote has declined from 21,000 in 1997 to just over 8,000 in 2010, while the Liberal Democrat vote has remained stable at around 9,000.